It's an art of parenting and coaching. Be tough when you need to be. Kind when it counts. And everything in between at precisely the right time in the right tone and with the right message. 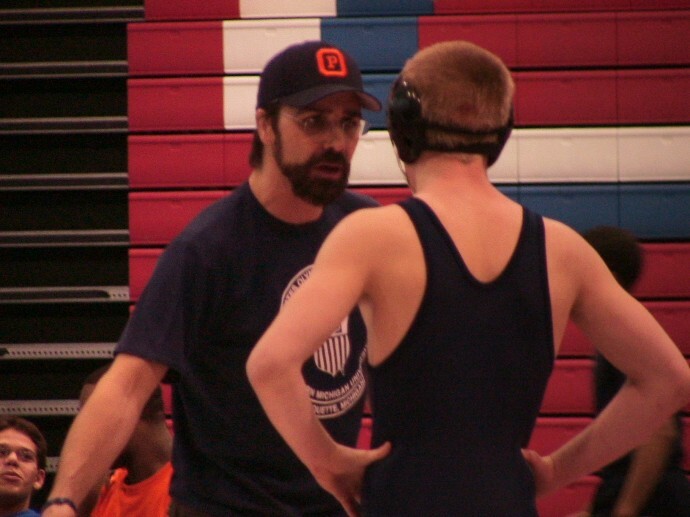 Watching Coach Mike Powell coach the seven qualifying OPRFHS wrestlers at Sectionals this weekend was a lesson in sharpening your intuition to deliver the lesson that is needed at exactly the right time. Delivering what needs to be said and making sure it is heard and felt immediately. And knowing your words will be heeded. It's what I have been trying to do as a parent for 22 years. When Cameron Harris won the match that would grant him a ride to the state tournament, I watched him jump into Coach Powell's arms in an embrace of gratitude and pure joy. I cheered as Powell looked as happy as Cameron was, saying to him exactly what he needed to hear right then. I have watched Coach Powell reprimand a wrestler so strongly that I wondered if it was possible I ever could have that same kind of instant impact on my sons just with my words. He is never demeaning, but he is direct. The wrestler listens. Can I ever have those same results? 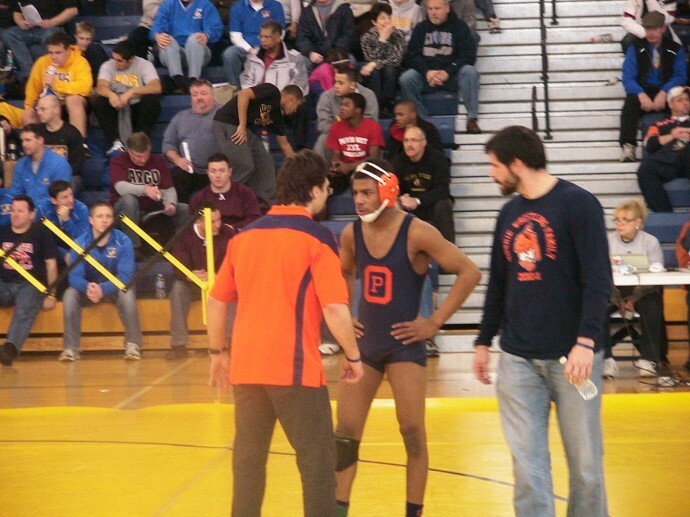 This past weekend I saw Coach Powell do what he did years ago to my oldest son, Weldon, at the state tournament in 2007. Powell reminded Weldon after losing a match, in extremely strong language, that Weldon did not make it all the way there to lose. He came there to place and to win. And he needed to get it done. Weldon took 4th. Colin was at the sectionals this weekend as a spectator. He is still not cleared after his concussion until hopefully this coming Monday. The plan is after our morning doctor's visit for Colin to begin moderate exercise. I know how much Colin wanted to be there as a wrestler making it to the medal stands. Just not this year. And I watched as Coach Powell hugged him hello as soon as he saw Colin. And told him what I know he needed to hear. And later when I asked Colin how he felt, he said, "You can't change the past." I heard Coach Powell in that line. No matter what I do as a mother, I can never be the mentor or guide Coach Powell is to Colin, or any of my sons. And maybe it would be weird or odd if I was. A mother is not a coach. We have different roles. I have been there since the very beginning. But to watch how much the boys respect and heed Powell is stunning. I can be stern, sure, but I don't quite speak the same shorthand as Powell does to them. Or any of their great coaches. It's their code, the way they speak about wrestling and life and doing what matters when it matters. I have taught all my boys to read, ride a bicycle, drive a car, heck, even eat with a fork, make a bed or a sandwich, fold clothes and study for tests, plus 10,000 other life skills they need to know to be able to get from Monday to Tuesday and from kindergarten through college. Sometimes I yelled when I probably didn't need to. Sometimes I was too soft when they took advantage of the situation and my weariness and then made mistakes I warned them about anyway. You do what you can as a parent. And then you do more. You pray you say the right words at the right time and never too harshly. But there are times, plenty of times, you have to be hard on them, you just do. We have all seen enough examples of kids who went another route because no one was able to say the right thing, perhaps, or was strong enough to stop them from making the wrong moves again and again. And you hope in their lives there is someone, maybe if you are lucky, plenty of someones, who will say what needs to be said when it needs to be said and that the child will listen. We have five wrestlers headed to state this weekend: Darius Henry, Sammy Brooks, Chirino Watson, Michael Woulfe and Cameron. We'll be cheering them on, for sure. 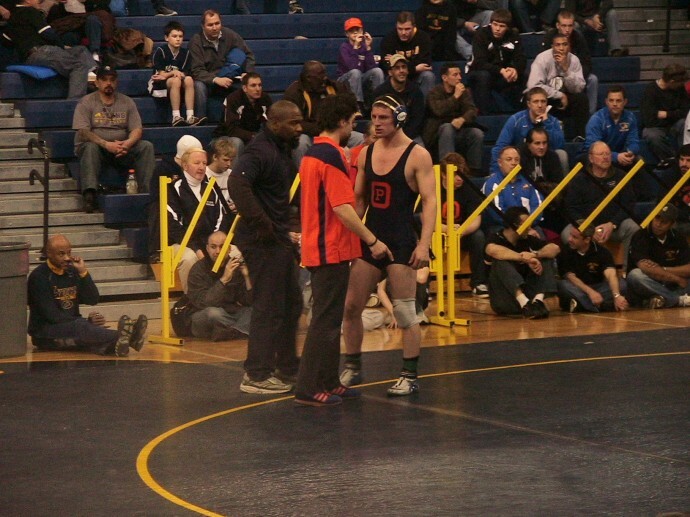 I'm even bringing along Champ, the stuffed Husky we dress in the OPRF Wrestling Family t-shirt and headgear. But from our place in the stands, our wrestlers on the mat won't be listening to what we have to say. And it will be fine. You have beautifully written what I have been thinking in all my parenting life. Coach Powell has had a wonderful influence on my son, knowing exactly what to say and earning my son’s respect. I feel that Coach has helped raise him to a level of maturity I never thought possible. Meanwhile, I’m still working with him on such things as using a fork and folding clothes. Great article. Some people still need to hear Coach Powell’s words even when their career is over. For that I relay on a speech I wrote down, my memories, and this wonderful blog.